Just because it’s no longer summer doesn’t mean you cannot continue your obsession with bright colors anymore. 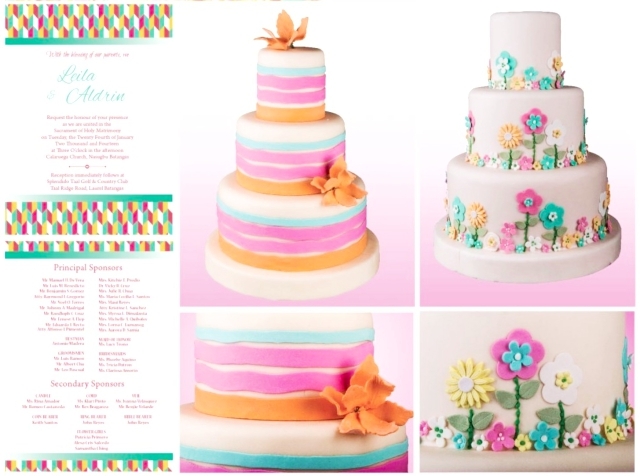 In fact, bright colors are so perfect that they can be used to brighten celebrations any day of the year. Silver is such a versatile color that it can be used alongside different hues–even bright ones. Just take the theme Candle Light: Silver & Aureolin for example. 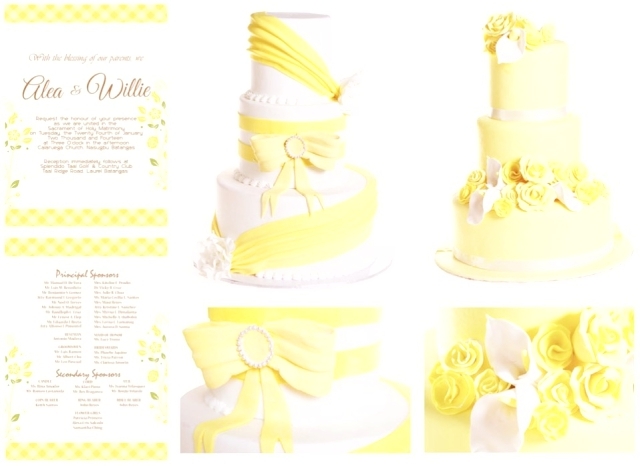 The play of colors in this one is a great example of marriage between classic and bright. The resulting look is elegant, but without being intimidating. The color combination also goes well with all other elements in the setup, particularly the silver vases and candle holders. 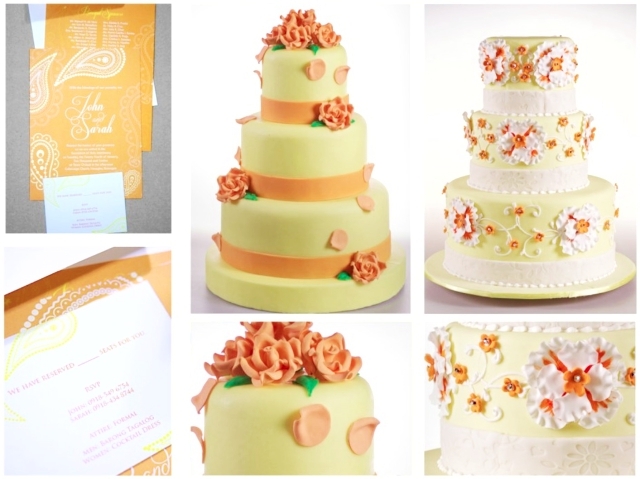 Who said you can’t use a combination of more than two colors for your wedding? Colorful theme by Hizon’s Catering proves that you can use multiple hues for your wedding and still end up having a classy celebration. To make the colors pop even more, it makes use of table cloths, chairs, and even plates in white. As for the newlyweds’ table, a white table cloth with polka dots of different colors is used. Rustic has always been favorite theme for weddings. It no longer comes as a surprise, since it’s really charming. Now what’s great about this Floral Rustic theme of Hizon’s Catering is that it employs the classic elements of a rustic wedding, complete with wooden panels and crates. There are also chops of wood and wooden buckets used as vases on the tables. 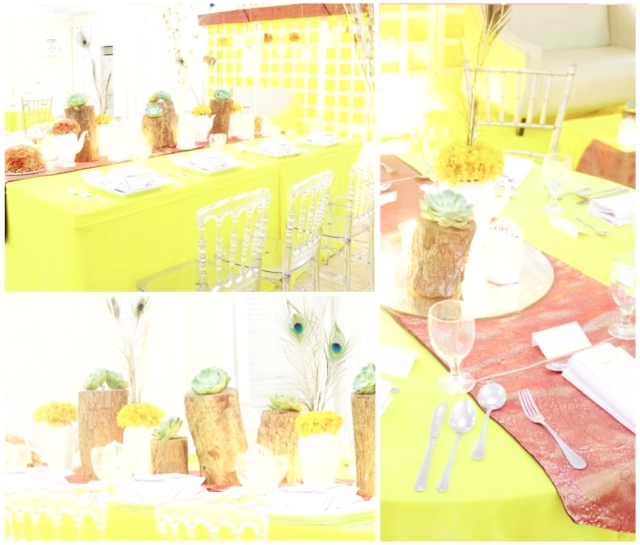 Yet, here’s the twist: the setup also features bright colors like yellow and orange. As for the flowers, they are in vivid colors, too. True to its nature, this Shabby Chic theme in orange and pastel makes use of furnishings that are charmingly old-fashioned. Take a look at the centerpieces composed of classic-looking porcelain vases and candle holders used in the setup. Of course, these go well with the popping colors of the background, the tablecloth, and the flowers used. Together, they create a quaint yet bright look. 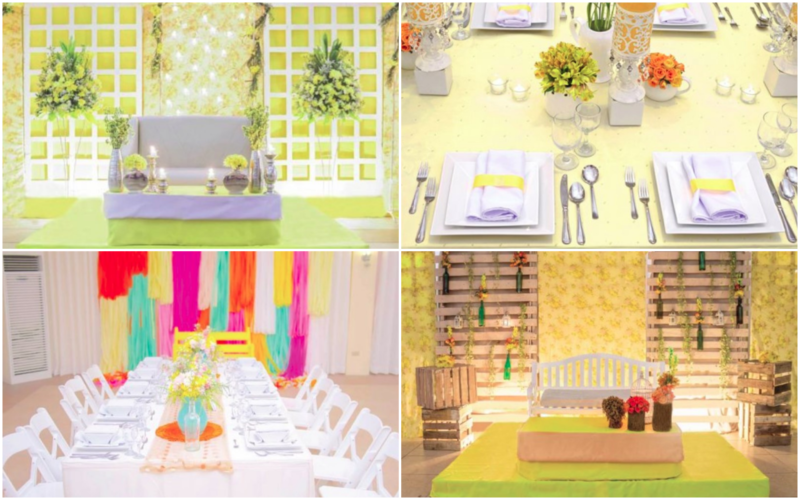 Perfect for those whose personalities are as bright as the sun, this Sunny Day theme by Hizon’s Catering is so bright that it oozes with positive energy. It plays with different shades of yellow and combine them with light brown. To help enliven the overall look, it also features oh-so lovely centerpieces that include chops of wood, yellow flowers, and succulents. 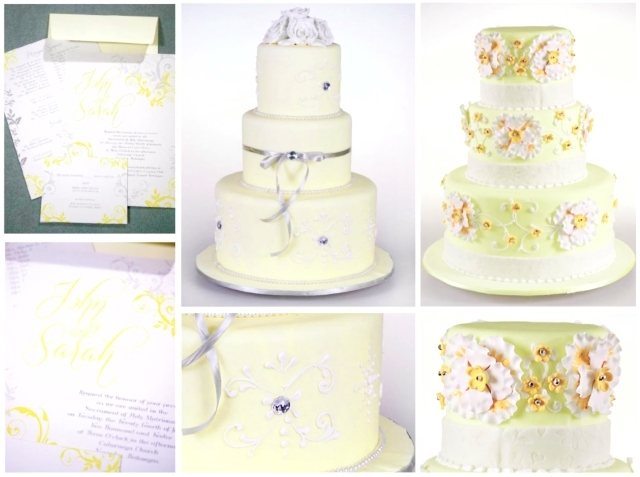 Excited to make your wedding celebration bright and lovely? 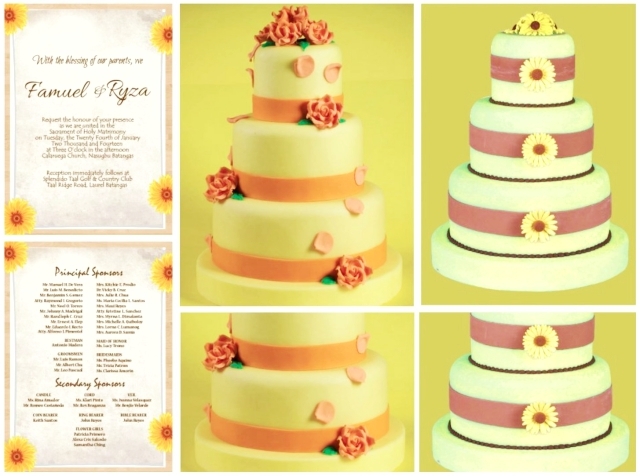 Go ahead and choose any of these themes offered by Hizon’s Catering.